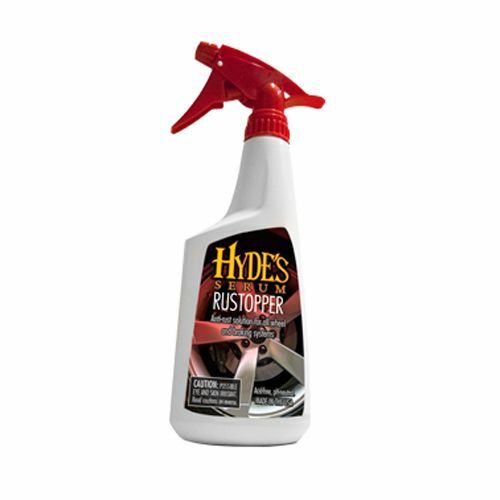 Product Showcase: Hyde's Serum Rustopper - Anti Rust solution for your wheel and braking systems. 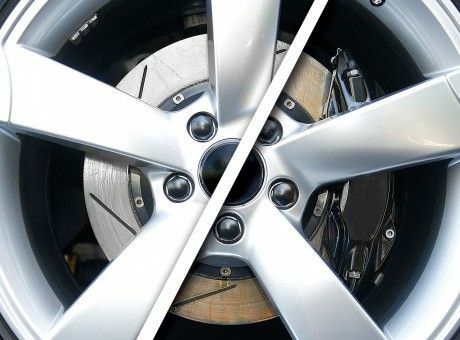 How many times have you wondered....how can I stop rust on my brake rotors when I wash or detail my car. Its ugly and messy. We get this question quite often. I'm happy to announce that we have found a great solution to prevent this from happening during your car wash.
No more having to go back and wipe down your inner wheels after all that hard work. This is currently is the best solution that we know of to prevent rust from happening to the rotors during your washing and detailing. This is not a permanent solution, the rotors will rust after you drive in the rain or they get wet. STOP the RUST from ruining your wash and details. Rustopper effortlessly prevents rust from forming on your brake rotors after cleaning wheels and braking systems. - Rustopper was designed to prevent “rust dust” – the initial brake dust on clean wheels that occurs after washing. - Rustopper’s Acid-free, pH-neutral formula will not attack wheel coatings, lug nuts or braking systems. - Rustopper is safe on all types of steel and alloy wheels (including chrome and polished wheels), anodized finishes and single stage paints. 1. After cleaning wheel and braking system, rinse thoroughly with water and let excess water drip for several seconds. 2. From a close distance, apply liberally to brake rotor surface, spraying in a sweeping motion around the rotor face at least two times. 3. The liquid may fizz as it reacts with the iron rotor. Finally, wipe any excess liquid inside wheel. Protect against frost or freezing. Do not apply in direct sunlight or to hot wheels. POSSIBLE EYE AND SKIN IRRITANT. Contains Sodium Nitrite. Avoid contact with eyes and skin. Use in well ventilated areas. In case of eye contact rinse immediately and thoroughly with water. Harmful by inhalation and if swallowed. Repeated or prolonged exposure may cause irritation of eyes and skin. In case of skin contact, wash with soap and water. KEEP OUT OF THE REACH OF CHILDREN. Click here to purchase Hyde's Serum Rustopper.